Today is the final day for teachers at my school. Students finished yesterday. Through some luck of timing and hard work all my grades are already in the system. After our final meeting as a faculty, a closing of school Mass (I teach in a Catholic school) and lunch my summer break begins. Teachers know that is not quite the same as a vacation though. Yes I’ll be spending some down time. Some great time with my now 8 month old grandson for sure. Some time in the water swimming, kayaking and paddle boarding. Some time reading for fun. And I will get to sleep late most days. But there is work to be done as well. There is a difference, as one superintendent told me, between teaching for 25 years and teaching one year 25 times. I’ll be looking at the projects I assigned this past year and thinking about what worked and what didn’t. I’ll be revising instructions, tuning up my rubrics, and modifying my schedule. I’ve already been updating my PowerPoint decks but I will be writing some new ones and recording Office Mixes so students can watch them online. I’m going to revisit the CodeHunt exercises I created as well. I think I can make better use of them if I plan things better and create a few more exercises. I’ll also be thinking about new and I hope better projects.And examples. I want to do more working examples with students next year. I also want to find or write some sample code for students to read. I’ve become convinced that students need to read more code than they write. I think it will help them see how things come together better. 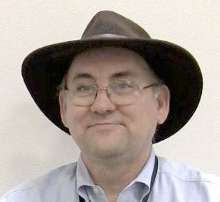 I will be looking at replacing my Visual Basic unit, in my freshmen class, with a TouchDevelop unit. That will be a bit of work but I think it may be worth it. Kids really seem to like TouchDevelop and they can do some very cool things with it. I can’t just plug in a new language though but have to make sure I have the right projects for the programming paradigm and fit everything into a sequence that may not be exactly the same. Should be fun though. Summer learning is important as well. 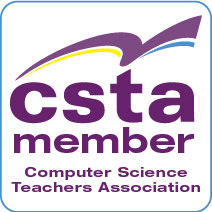 I am hoping to learn a lot at both ISTE and the annual CSTA conference this summer. I’m also going to a smaller conference that I’ll talk about some time in the future. Few things in education change as much or as fast as computer science and technology in education. That is one of the things that makes teaching computer science so much fun. Wow! I think I’m going to be busy. And that is a good thing. What are your summer plans? I've found that students analyzing and 'fixing' code to be a nice way to introduce many concepts and to model some interesting OO and algorithm design. One of the first OO assignments I use is a complete this graphical Tic-Tac-Toe game where I put in TODO's. The kicker is that this Tic-Tac-Toe game isn't designed, algorithmically, how students normally see it, so they see something completely different. I also use it as a means to introduce MV design and inheritence/ploymorphism. Did I mention I'm a PBL and inquiry first type educator? I think it would make more sense in that context.